Safety of Dental X-Ray Radiation Should I use mouthwash? 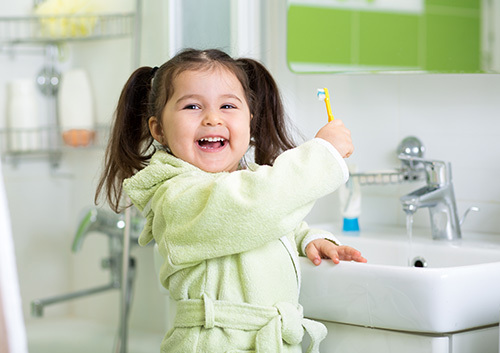 At Zahra Hosseini, DMD, we know that brushing your toddler’s teeth can be an intimidating prospect. So we’re providing a few tips in the hope of making the process a lot more easy, effective, and all-around enjoyable for everyone! Dr. Zahra Hosseini and our team agree that brushing and flossing need to be performed with kindness and care. To ensure your child learns good dental hygiene habits early on, be gentle and make this time a happy, learning time. Your child should also have regular appointments at our Hackensack, NJ office for checkups and cleanings to keep on track!